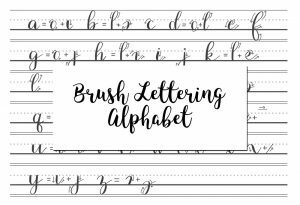 This post is the first in my brush lettering alphabet series all about how to create the lowercase alphabet. In each video, I will demonstrate the letter from a page within my Brush Strokes Workbook. 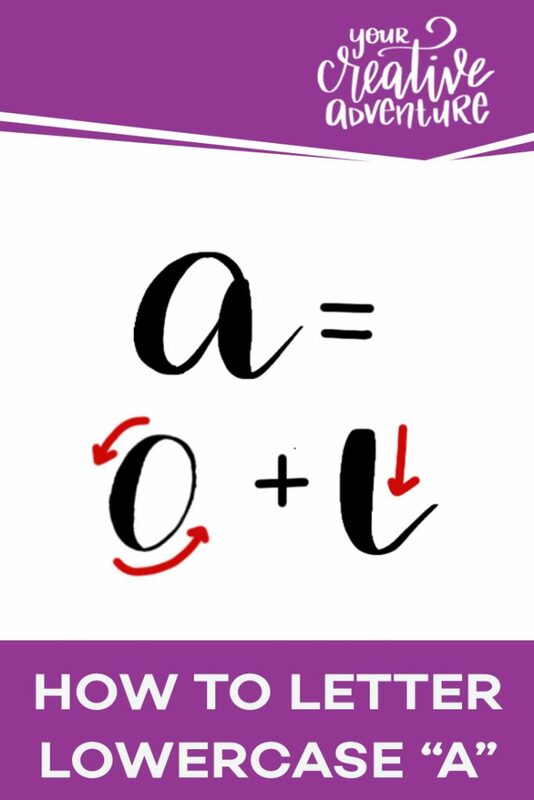 Let’s learn how to create the lowercase a in brush lettering. 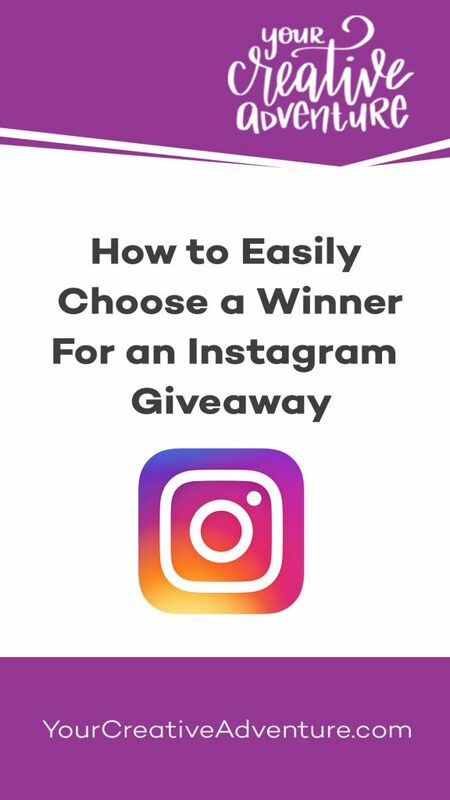 Want to know how to easily choose a winner for an Instagram giveaway? I share one option in this blog post. You can watch the video below for more detailed instructions. 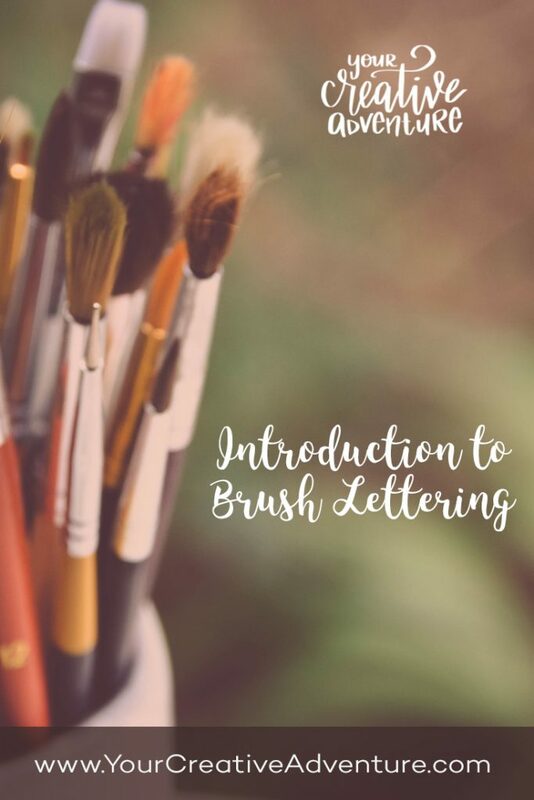 Learn brush lettering for relaxation and to create beautiful art! However, brush lettering can be difficult to learn. Therefore, I developed the Lettering Ladder system to help you succeed. It starts with the easiest concepts to master and gradually adds more difficult aspects of lettering. 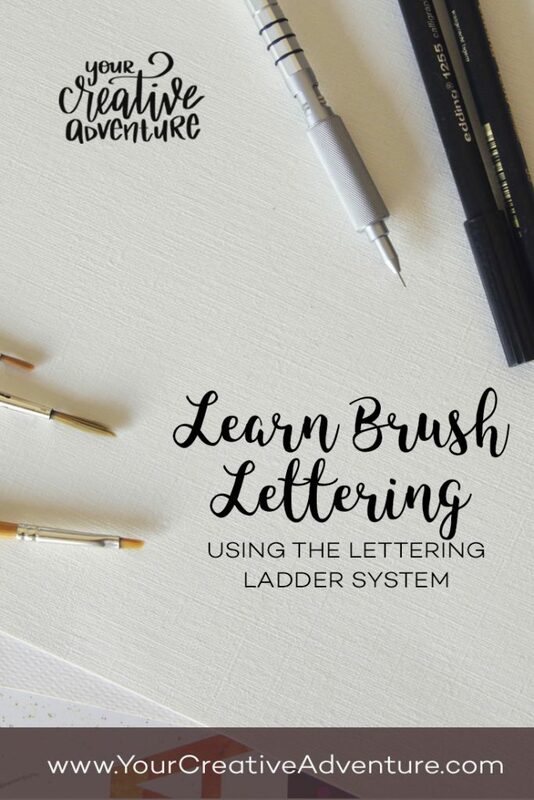 Similar to climbing a ladder, you will take one step at a time until you reach new heights with your lettering skills. You can progress through each step as quickly as you want or as slowly as you need. Make sure to master each step before moving on to the next. In the Connecting Letters section, I have included practice sheets with all six steps of the Lettering Ladder system for 10 common phrases used to create cards. You can see an example of one of these practice sheets in the photos included with this listing. This brush lettering workbook could have been published as four separate workbooks because there is so much content within it. However, I want you to have everything you need in one place without needing to invest in more than one book. Therefore, you will learn the entire Lettering Ladder system in this workbook as well as advanced topics like developing your own lettering style, lettering layouts, composition and much more. 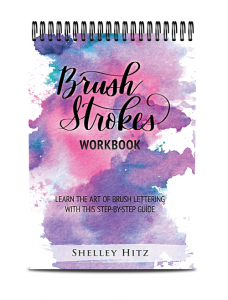 In this post, I share an introduction to brush lettering that I wrote for my Brush Strokes Workbook. However, I also wanted to share it with you here on my blog to encourage you in your journey! I love lettering. Let me count the ways. When I first discovered lettering in 2016 it became a form of self-care I did not know I needed. As a Type-A personality, art helped me to slow down and learn to release control. Lettering can be so relaxing and meditative. 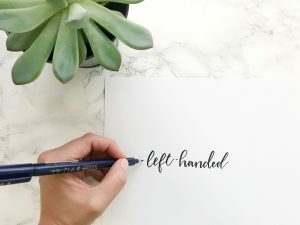 It is estimated that about 10% of the population is left-handed. 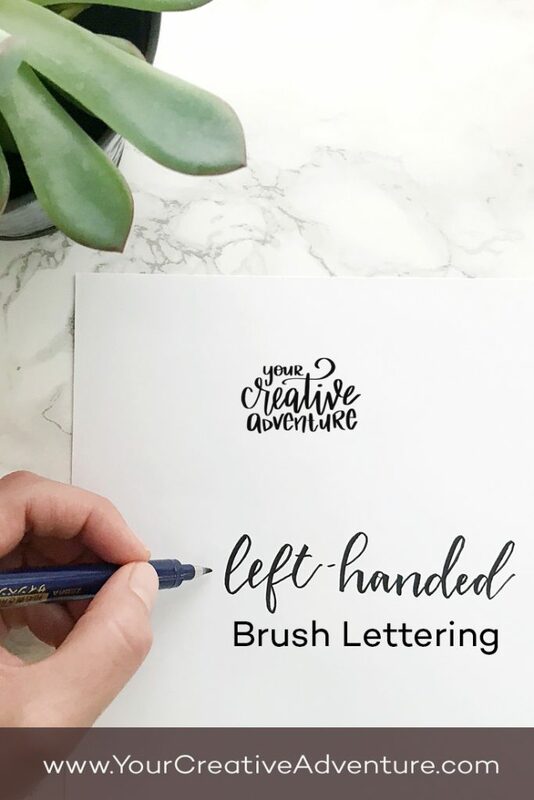 In this post, I share tips for left handed brush lettering. I am not left handed myself, but since I teach brush lettering, I wanted to do research and help my left handed students succeed! From the research I did, it seems that when using a brush pen, left-handed lettering artists tend to be side-writers or underwriters. But experiment and find what works best for you. 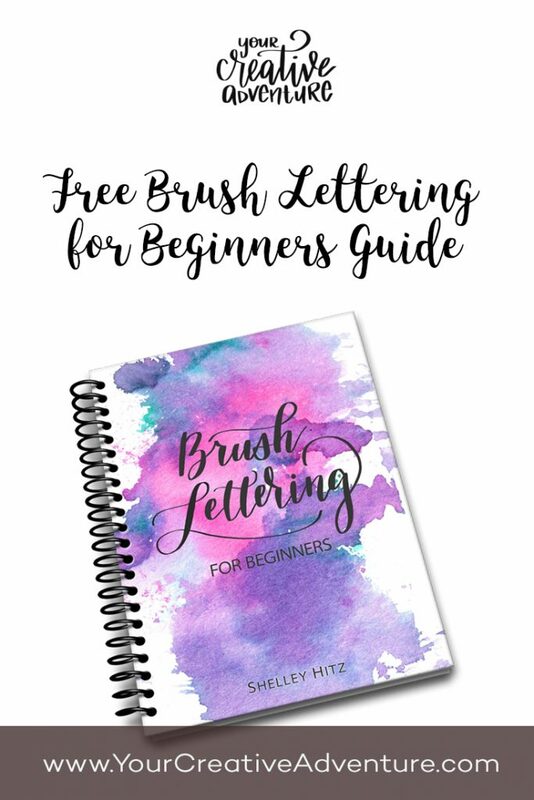 I’m excited to introduce my brand new Brush Lettering for Beginners guide. 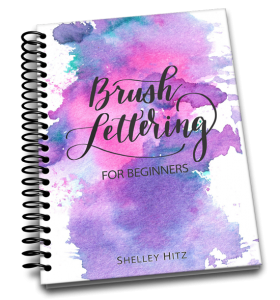 It’s a 10-page PDF that I have poured my heart into to help you learn brush lettering. 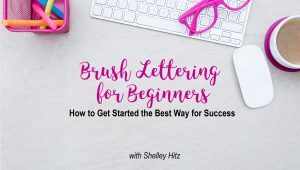 It comes with two video tutorials where I walk you step-by-step through the process of getting started with brush lettering. Get started with brush lettering for free here. 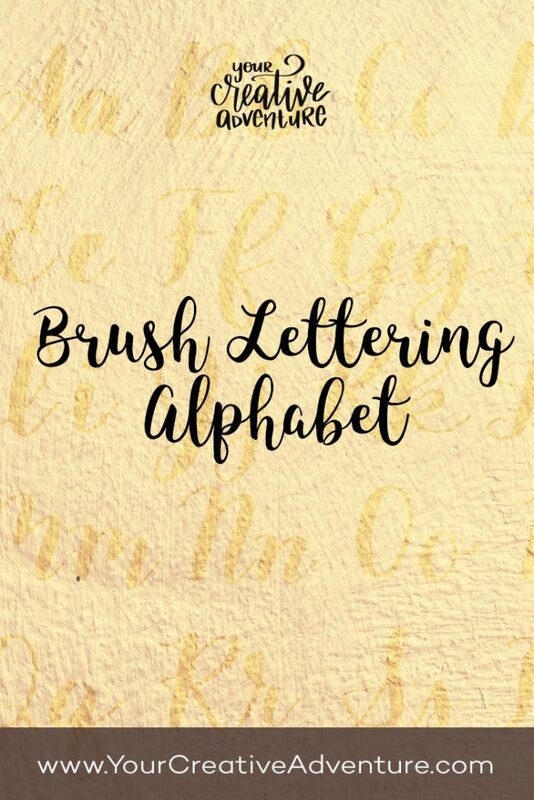 In this blog post, I am going to share with you two videos that will help you learn the lowercase brush lettering alphabet. WooHoo! First of all, let’s start with the anatomy of the lowercase alphabet. Watch as I demonstrate each letter using monoline lettering in the first video. Using monoline lettering, in the beginning, makes it much easier to learn the letterforms because you do not have to worry about getting the pressure of the thick and thin strokes correct. Learn more about how to form each letter in the lowercase brush lettering alphabet in the video below. Patti was in the hospital for cancer treatment when she was first introduced to art therapy. She is now cancer free. Praise God! Is art a form of therapy for you? I know it has been for me! 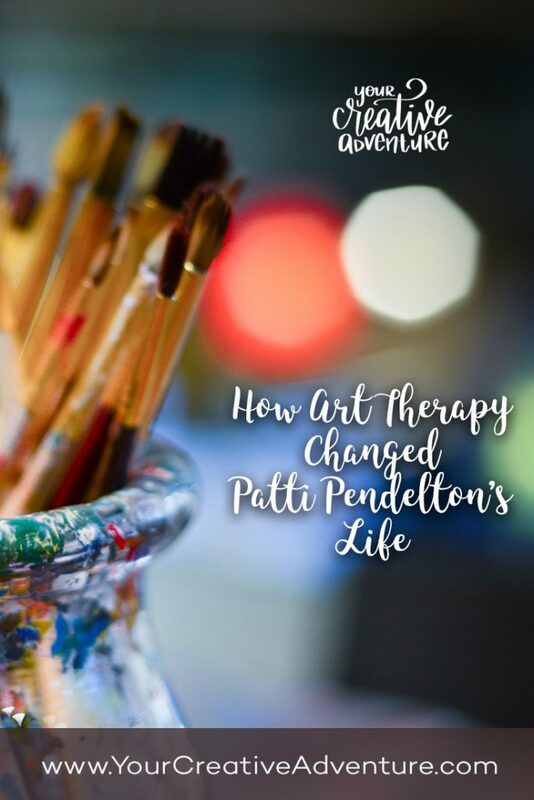 When I heard Patti Pendleton’s amazing story of how art therapy changed her life, I knew I wanted to share it with you. Find out more in this interview or read the transcript below. SHELLEY. 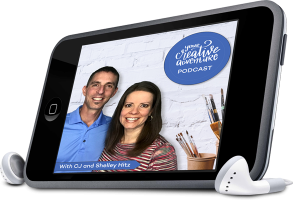 Welcome to this interview, my name is Shelley Hitz, I’m the owner of YourCreativeAdventure.com, and today I wanted to bring a very special guest on to share with you a little bit of her journey with sickness, art therapy, and how art really became a key part of her healing process. So, Patti Pendleton, welcome to this interview. 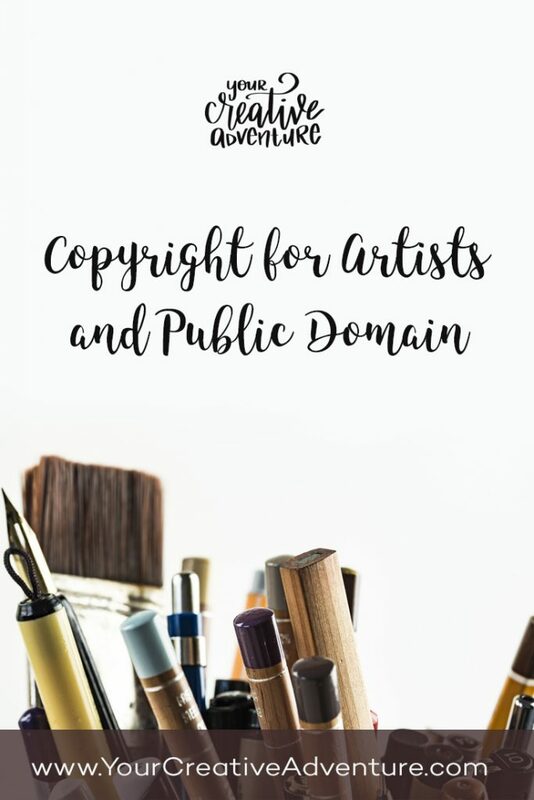 In this post, I’m going to talk about public domain and copyright for artists. Did you know that as a lettering artist, we cannot legally sell a piece of artwork with a quote, music lyrics or a scripture that is copyrighted? Technically the quote or scripture needs to either be in the public domain or we need to have written permission to use the quote on products. The CCO license is also “no rights reserved” and can be used freely. Also make sure to note if the license requires attribution which means you give the original creator credit. See a list of creative commons licenses here. That’s why I’ve been using a public domain version of the Bible for any pieces I plan to sell. Bible Gateway has a list of Bible translations that are in the public domain here. You can also pay to use a particular translation of the Bible in your work. One of my lettering artist friends said she paid $5 per print to use the ESV and warned me that the NIV is very expensive. For example, to request licensing information for the ESV, go here and click ESV Bible and then click the link for Artwork. 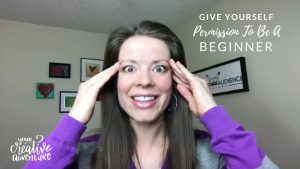 In this blog post, I want to share a quick message with you about how sometimes you need to give yourself permission to be a beginner in your art. Today I took a local watercolor class. It was a ton of fun. I love to fill my creative well. A great way to fill your creative well is to take classes. 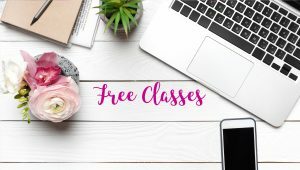 I now have over 25 classes available to you at http://yourcreativeadventure.com/classes/. She’s expecting every piece to be a masterpiece. And she’s stuck. 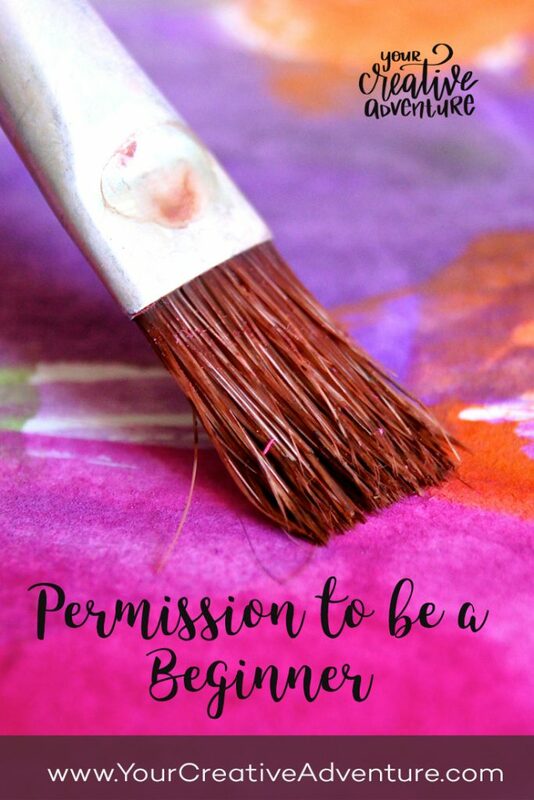 She doesn’t feel that permission to create because she wants everything to be a masterpiece. Have you ever felt that way? If so, just let me know in the comments. I know I have.